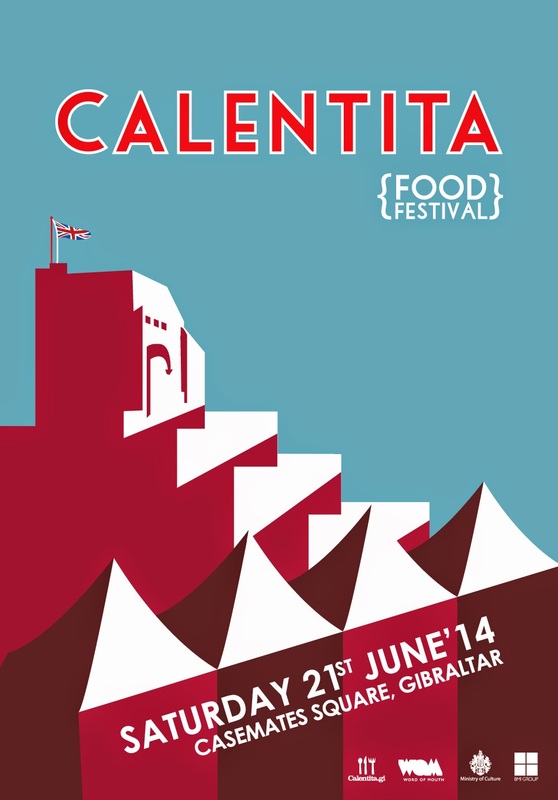 For the second consecutive year, the guys from WOM in Gibraltar asked me to design the poster for the Calentita Food Festival. For this year's design they wanted to portrait one of Gibraltar's most iconic architecture landmark: the Moorish Castle. This Medieval fotification is made up of various buildings, gates, fortified walls and its most dominant features, the Tower of Homage and the Gate House. This structure is clearly visible to all visitors to Gibraltar, not only because of its striking construction but also because of its dominant and strategic position. Regarding design style for this year’s design, I was inspired by the progressive commercial posters of the 1920s and 1930s featuring simple lines and the usage of balanced compositions and bold colour combinations. To create this poster, I used seemingly abstract blocks of colour to build up the castle and the white food stall tents, signature of the Calentita festival. View and read here about the poster I designed for Calentita 2013.